When a church closes its doors or no longer functions as a beacon of light for Jesus; it makes me wonder upon which foundation was such church built. When Jesus said he would build his church, he also made the promise that it will transcend time, not even the forces of evil will overpower it. Christ gave these to the church. teachers: those who give instruction from God’s word. -These are given to equip the church, (saints) for the work of service (ministry) for the building up of the body of Christ. Christ’s church is being built as everyone is prepared and empowered to serve or minister: the word equip in this context has the idea of bringing someone to a condition of fitness. This is what a trainer or coach do, they don’t do the work for you, they show you how to do it and empower you to do it. The church is not being built up if the people are not being trained and empowered to use their gifts in serving God. The church can’t be built up if its members do not see themselves as ministers, servants. How did Jesus train his apostles? Jesus trained the twelve through modeling, giving them instruction and empowering them to do what he’d trained them to do. He showed them how and then released them to multiply themselves in the world. This training and equipping of the church (saints) will go on for a while. Until………………we all reach unity in the faith and in the knowledge of Jesus Christ. -We will continue to build his church by doing our part within the body. The body is healthy when all its parts are working properly. The church is built up when each member does his part. When its members utilize their gifts and abilities. 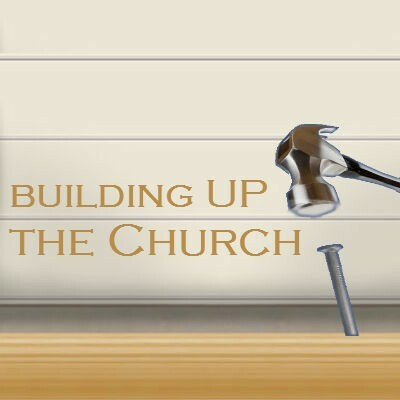 This is how Jesus keeps on building up his church today, through you and me.